Home » article » Can Biotin help Thyroid Problems and Symptoms? Successful management of thyroid problems and symptoms they induce requires lifestyle modification besides doctor-recommended treatment options. Lifestyle modifications include changes in the diet where an affected person avoids unhealthy foods in favor of nutritious instances. 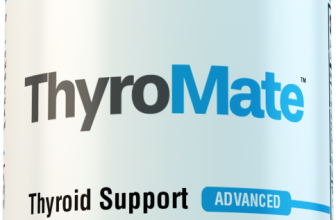 Since most people don’t meet required dietary demands of various nutrients, they opt for supplements, and some of these products are well-known for their positive impact on thyroid. A common concern among patients with thyroid problems is whether biotin could be helpful and safe for them. In this article, we’re going to focus on this vitamin. 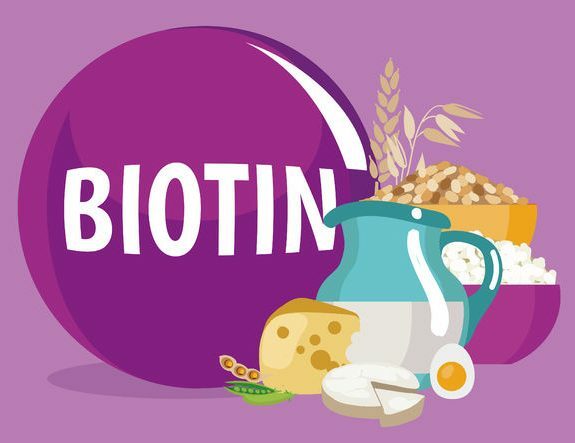 Scroll down to learn more about biotin and its potential safety and efficacy. Biotin or Vitamin B7, formerly known as vitamin H, is a micronutrient that the body needs to convert food into energy. The term biotin comes from the Greek word biotos meaning sustenance or life. Biotin acts as a coenzyme that body needs for metabolism of fatty acids, glucose, and amino acids. In other words, when we consume foods that are sources of carbohydrates, proteins, and fat biotin needs to be present, so the body can convert those nutrients into energy to fuel up the body to perform everyday activities. According to the National Institutes of Health recommended daily value of biotin depends on a person’s age. The recommended intake of biotin for adults is 30mcg, but breastfeeding mothers need 35mcg a day[i]. The reality is that the role of biotin in thyroid problems and management of their symptoms is poorly explored. Evidence on this subject is limited, and at this point, the real potential of this vitamin is almost unknown. What we do know is that biotin could help hypothyroid patients combat hair loss. One of our previous articles discussed this subject in detail, but since we’re talking about the impact of this vitamin on thyroid symptoms, it’s essential to mention hair re-growth as well. What makes biotin beneficial for hair growth in thyroid patients? The answer could be down to the fact that hormones produced by the butterfly-shaped gland act on hair follicles, a growing body of evidence confirms. For example, van Beek et al. found that T4 up-regulates proliferation of hair matrix keratinocytes while their apoptosis or death is regulated by T3 and T4. Their study also found that T4 hormone prolongs hair growth stage. Scientists concluded the study explaining that hair follicles are direct targets of thyroid hormones and their effects range from cycling to pigmentation[ii]. Vincent and Yogiraj write that both hypo- and hyperthyroidism, as well as parathyroid disorders, can contribute to hair loss. Besides scalp hair, hair on other body parts may be affected as well. Hair loss is a common symptom of hypothyroidism, and it occurs due to the fact that thyroid hormones are vital for the maintenance of hair follicle[iii]. One of the most popular uses of biotin is for hair re-growth, and it comes as no wonder why patients with hypothyroidism and other thyroid-related disorders are interested in this supplement. So, does it really work? Studies say it does. Patel et al. reviewed the available literature on the efficacy of biotin on hair and nail re-growth. They found 18 studies on this subject and found that all of them demonstrated evidence of clinical improvement after receiving biotin[iv]. As seen above, biotin’s positive effects on hair growth are scientifically proven. It is also important to mention that one of the symptoms of biotin deficiency is hair loss[v]. Sufficient intake of this micronutrient could prevent deficiency and promote hair growth, particularly in patients who are experiencing hair thinning and loss of hair. That’s why many hair masks and other products contain biotin in their formula. Thyroid hormones have a strong connection with the immune system. De Vito et al. found that both hyperthyroidism and hypothyroidism are associated with increased expression of pro-inflammatory cytokines which affect the immune system of an individual. Additionally, thyroid hormones affect natural killer cell activity as well as cell-mediated immune responses. Although the relationship between T3, T4, and immunity is complex, it is evident these hormones modulate immune responses[vi]. Since people with thyroid problems are prone to decreased immunity, biotin could be helpful for improvement of the immune system. Agrawal et al. revealed that biotin deficiency intensifies pro-inflammatory cytokine responses of human dendritic cells[vii]. Our body needs biotin for the development of white blood cells[viii] that are vital for the immune system, and deficiency in this vitamin is associated with the impaired immune function[ix]. If you pair biotin deficiency and thyroid problems, then your immune system could be impaired significantly. Wiedmann et al. found that biotin increases the production of Th1 cytokines such as IL-1β which is crucial for kick-starting an immune response to fight viral infections and bacteria[x]. Bearing in mind that thyroid problems are linked to weakened immune response, biotin proves to be effective in improving your immunity. Metabolic rate is vital for our health and wellbeing including our weight. Slow metabolism is a common problem that millions of people experience at one point or another. Mullur et al. explain that thyroid hormones are required for proper development and regulation of metabolism in adults. Status of thyroid hormones strongly correlates with body weight and energy expenditure. While hyperthyroidism increases metabolic rate and promotes weight loss, hypothyroidism reduces levels of T3 and T4, reduces energy expenditure, and promotes weight gain due to low metabolic rate[xi]. In fact, many hypothyroid patients struggle to manage their weight and slim down. However, gaining more weight can aggravate the symptoms you experience and make them more difficult to address. Biotin deficiency also contributes to slow metabolism5 which leads to weight gain, digestive problems, and fatigue. It is also important to mention that fatigue or lack of energy is a common symptom of hypothyroidism too. Adequate intake of this vitamin can accelerate metabolism and, thereby, promote weight management and provide more energy we need for daily life. While our body needs biotin to function properly and it can help thyroid problems and their symptoms, there are still some safety concerns patients should bear in mind. You see, biotin supplements could interfere with laboratory tests and high or low thyroid hormone levels falsely. For example, Endocrine News published a post about a physician who noticed thyroid test results did not make any sense, so they consulted an endocrinologist about the issue. Doctor successfully managed a patient’s hypothyroidism with the standard levothyroxine medication, so it was weird that thyroid hormone levels were abnormal. The endocrinologist asked a patient a simple question: “are you taking biotin?” Patient-reported she has been taking 10mg biotin in order to improve the strength of her nails and address hair loss, common symptoms of hypothyroidism. At that exact moment, the endocrinologist realized that there was nothing wrong with a patient’s thyroid, i.e., surprising lab test results weren’t a consequence of some thyroid-related complication. Instead, they were caused by biotin supplementation. What’s the problem here? Aren’t supplements safe? You probably have tons of questions running through your mind. The problem is that most patients take high dosages of biotin. They think just because it’s vitamin nothing bad can happen. High doses are the reason behind false thyroid hormone results. In addition, a vast majority of patients fail to report to their doctors that they are taking biotin. Again, this is down to the fact it’s a vitamin, and one can purchase it without prescription, so they don’t consider it as a medication[xii]. You should always bear in mind that if you plan to take biotin (or you’re already using it), you need to make sure your doctor knows about it. In fact, it’s always useful to ask your doctor whether it is safe to take this vitamin and your physician will inform you whether biotin is an effective solution based on the condition of the thyroid and its hormones. Some studies have also shown that biotin may interfere with laboratory results. For instance, Minkovsky et al. found that ingestion of a high dose of biotin in patients with multiple sclerosis can interfere with laboratory assessment of thyroid function. This interference could lead to unnecessary thyroid evaluations. Two to five days after biotin cessation thyroid levels normalized[xiii]. Kummer et al. published an interesting study in 2016 showing that biotin treatment can mimic the behavior of Graves’ disease, an autoimmune condition and the most common cause of hyperthyroidism. The study focused on children who received high doses of biotin for treatment of inherited metabolic disorders. Scientists observed excessively high levels of thyroid hormones in all patients, a common occurrence in patients with Graves’ disease. Scientists discovered that high-dose biotin treatment causes misleading laboratory analysis by fully mimicking the typical pattern of Graves’ disease. The Graves-like condition persisted a few days after the use of biotin was discontinued. Scientists warn that high doses of biotin could impair thyroid hormone levels and lead to unnecessary treatment[xiv]. A major problem that patients encounter is that doses of biotin in supplements vary considerably. Many products contain values of biotin that are much higher than the recommended daily intake of this vitamin. This could be the reason why biotin can interfere with thyroid hormone laboratory results. In November 2017, the FDA issued a warning that supplementation with high doses of biotin could interfere with hundreds of lab results. This warning wasn’t so shocking as biotin’s effects on laboratory results were known among lab workers for years. At the moment, FDA is working closely with stakeholders in order to understand how and why biotin interferes with laboratory tests. The goal is to develop recommendations for safe and accurate testing in patients who have been taking high doses of biotin. It is highly recommended that patients who are already taking biotin check the dose of the vitamin on the label and to consult their doctor about it[xv]. Biotin is a vitamin that our body needs for energy production. Without this micronutrient, we wouldn’t be able to function properly because biotin deficiency slows down metabolism, contributes to weight gain, leads to weight loss, makes us tired, among other things. The relationship between biotin and thyroid problems is not studied thoroughly. Studies on this subject are limited, but current evidence shows the vitamin could address some symptoms of thyroid problems. For example, biotin can support hair re-growth, strengthen the immune system, speed up metabolism. However, taking high doses of biotin could interfere with laboratory results. Before you start using biotin supplements, you should consult your doctor first.